The BoxMaker Prepares to Swing for the Fences in 2019! 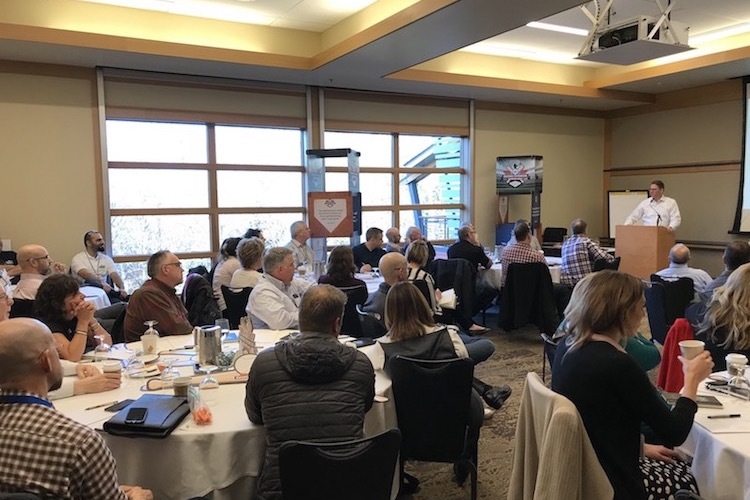 Each January The BoxMaker’s team of Packaging Advisors gathers in Seattle for our annual Sales Kickoff event. With branches throughout the Pacific Northwest including Bellingham, Spokane, Longview, Portland, Eugene, and Medford, returning veterans and rookies alike are treated to two days of training, tours, and educational sessions at our home base and manufacturing headquarters in Seattle. Kickoff provides the opportunity to gather together as a team to celebrate our accomplishments in the previous year and assess our goals for the current year. 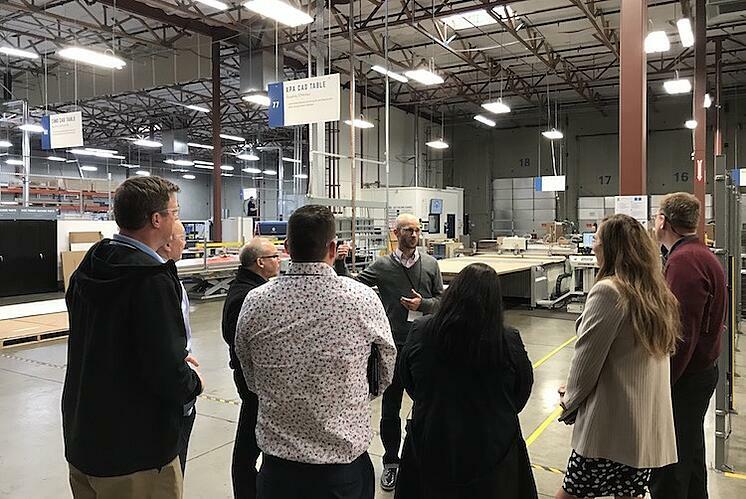 Our Packaging Advisors are also able to learn about the latest packaging production technologies and solutions to better serve their clients and enhance the Client Experience. This year’s theme is “Swing for the Fences,” which highlights The BoxMaker’s commitment to hit it out of the park for our clients in 2019 and beyond. Our sales team attended several informative sessions, including information on the HP PageWide C500 Press for digitally printed corrugated, how to deliver an exceptional client experience, and graphics management for a digital workflow. In addition to these, this training event highlighted our partnership with 3M™ and invited their team to introduce our Packaging Advisors to a host of industrial products that will enhance our ability to solve client challenges in many sectors, including aerospace, manufacturing, retail, and more. As a 3M™ Associate Converter, The BoxMaker’s Packaging Advisors have exclusive access to 3M™ resources and tools to provide a competitive advantage for clients throughout the Pacific Northwest and beyond. 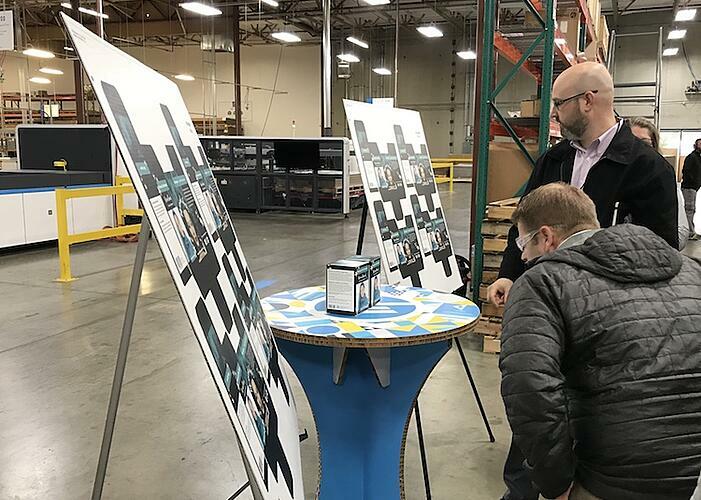 This year’s Kickoff also included a manufacturing plant tour, featuring a close-up look at our new Eterna Maxcut diecutter, our Zünd CAD dieless cutting system, and the brand-new HP PageWide C500 Press. Our Packaging Advisors got to see the production speed and capabilities of the these new pieces of equipment firsthand. The HP PageWide C500 press produces offset quality print at mainstream production volumes, delivering all the advantages of digital print for packaging and display with the added benefit of using water-based food-safe inks. BoxMaker clients can now receive high-quality digitally printed packaging that complies with even the most stringent global food safety regulations, including Nestlé guidance and Swiss Ordinance. As much fun as our team had learning about these advancements in digital print and finishing themselves, we can’t wait to share this information with the public. We invite you to register for BoxMaker University and dive head-first into the world of packaging. This is the perfect opportunity for individuals or teams to gain industry knowledge and drive their business forward through high-quality packaging solutions. We offer classes throughout the Pacific Northwest. For a full list of upcoming sessions, visit our website.